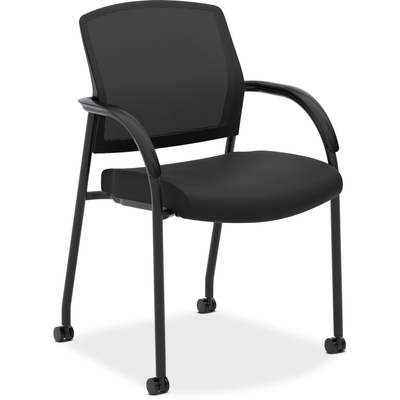 Side chair can be stacked up to four high, making it ideal for both private offices and multi-purpose or training rooms. Both casters and glides are packaged with the chair, to allow the chair to be converted from mobile to stationary use. Simple angular design will look great in any application. Both casters and glides are packaged with the chair, to allow the chair to be converted from mobile to stationary use. Stack up to four high.